We produce full scale conferences nationwide working directly with meeting and event planners which coordinate the show content. 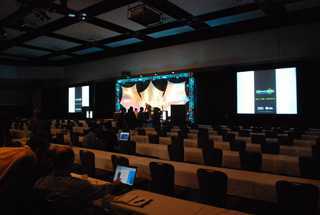 We provide complete audiovisual set-up, stage management and service for general topic discussions of keynote speakers. We provide the same service as a general session for these more focused industry perspective meetings.